We continue traveling around the world. To be more precise, it’s our animated film “Dji. Death Fails” that actually travels. Here’s another list of festivals that accepted our animated film in the competition program. - yes, we’re going to Asia, and namely to Hong Kong. This festival will take place from 19 to 22 November. We continue traveling around the world. To be more precise, it’s our animated film «Dji. Death Fails” that actually travels. SIGGRAPH Computer Animation Festival Asia 2013 Computer Animation Festival- yes, we’re going to Asia, and namely to Hong Kong. This festival will take place from 19 to 22 November. Yes, that’s about us, as we continue participating in different international festivals with our short animated film “Dji. Death Fails”. And we continue receiving good news! No, we’re not tired yet=) Here’s the new list of festivals that selected our animated film for the competition program. The first festival is called Linoleum. This International Fest of Contemporary animation & media-art will take place in Russia. «Dji. Death fails » has won the Best Film award in the international category! 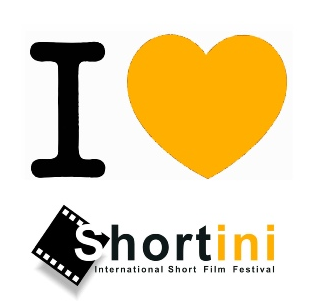 Yes, we became the winners of the short film festival SHORTini! We’ve already written about this event. This is a young festival, held since 2003. As it’s said on the festival website: “Welcome to the space for people who love cinema in every form”.